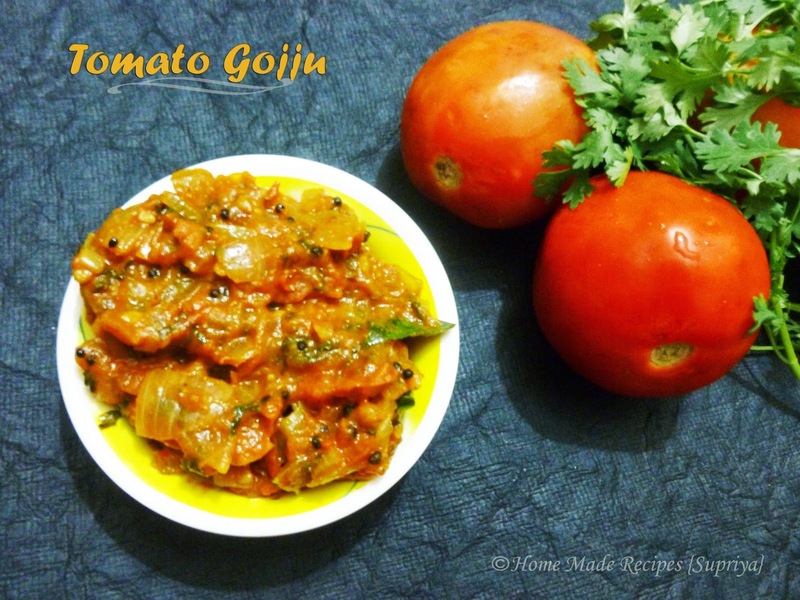 Today's recipe is Tomato Gojju. This is very simple and tasty dish with a very few ingredients. It tastes delicious with chapati's and dosa's as a side dish. Now that tomatoes are cheap, you can go ahead and try this out asap. 1. In a heavy bottomed pan, add a tbsp oil and temper it with mustard seeds and curry leaves. 2. Add Chopped onions and fry till it turns slightly brown in colour. 3. Now add Chopped tomatoes. Saute it for a minute. Close the lid and simmer the flame. Let it cook till tomatoes become soft. Don't add water. If you feel the texture is too dry, add in few drops of water. 4. Add sambar powder, garam masala powder, jaggery and salt to taste. 5. Lastly add chopped coriander leaves and mix. Adding butter is again optional. 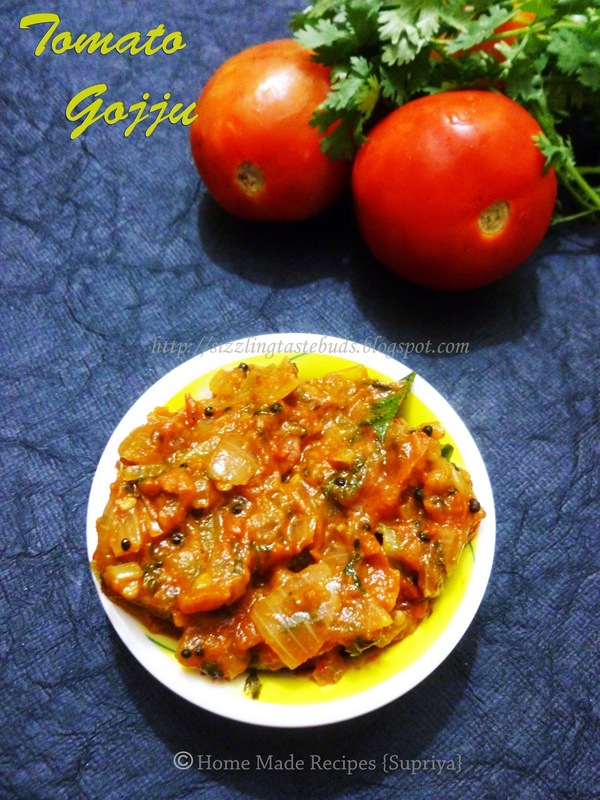 Delicious Tomato gojju is ready to go with chapati's or dosa's. Enjoy! Delicious gojju, need some crisp dosas to enjoy it.